The Halloween desserts just keep on coming, especially now that October is actually here. We’ve already talked about ghosts in this column, so now it’s time to spotlight a few other holiday-appropriate characters. 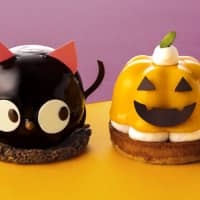 The confectionary chain Gin no Budo revealed their Halloween lineup for 2018 on Oct. 1, and it looks great. 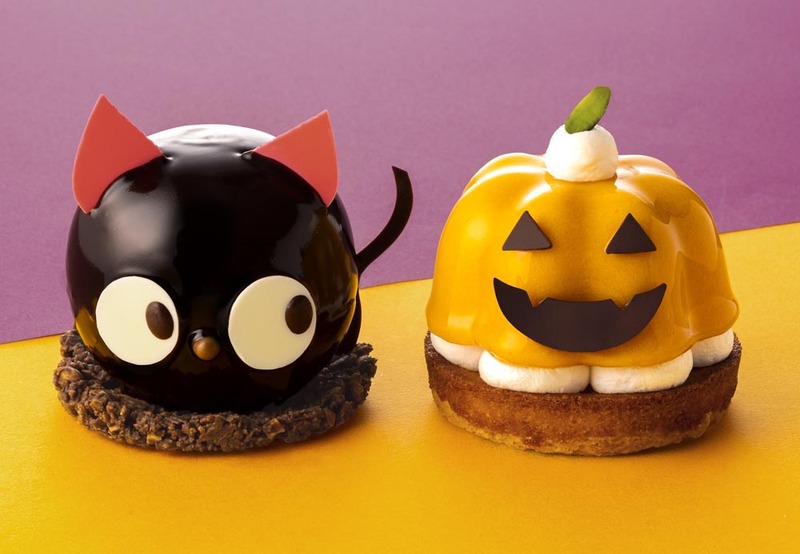 The highlights are a pair of cakes, one shaped like a jack-o’-lantern and the other resembling a black cat sporting devil ears. Each (¥680 after tax) looks perfectly crafted for social media, but how do they taste? Choose based on your love of chocolate: The cat is a nothing but, loaded-up with chocolate mousse and bits of crunchy chocolate serving as a base. Personally speaking, it’s a little too much; better is the jack-o’-lantern, which incorporates a pumpkin cream, caramel sauce and whipped cream. Still plenty sweet, but it makes for a better mix of flavors.